Unfortunately, the State of Florida is the most dangerous state in the nation for cycling, accounting for 1 in every 6 deaths nation wide. A serious cycling crash may be caused by a large number of circumstances. 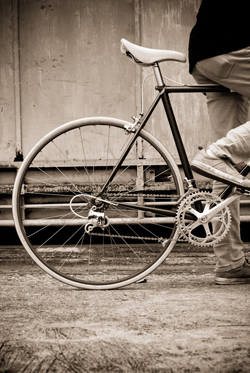 In most bicycle accidents, a negligent automobile driver is at fault. However, an actual bicycle-motor vehicle crash does not have to occur in order for a bicyclist to receive compensation for his or her injuries. Some Florida bike accidents involve defective bikes, negligent placement of construction roadway markers, improper maintenance of roadway, and careless cycling by another cyclists on the road. In some cases, you may also recover damages if you were injured as a result of an evasive action in order to avoid being hit and crash instead. Dangerous condition of private property if the accident was caused by the negligent maintenance or upkeep of private property. Florida law considers bicycles a vehicle, so bicyclists are accountable for traffic laws just like automobile drivers. Cyclists involved on a bicycle-motor vehicle accident may seek compensation for their injuries under their own car insurance policy; and in some cases, under the at-fault driver’s policy. It is recommended that bicyclists involved in a crash consult with an experienced injury attorney because they can help victims obtain all of the compensation they deserve. If you have been injured in a bicycle accident, please contact the Florida bicycle accident lawyers at Williams, Ristoff & Proper today. We offer free initial consultations and work on a contingent fee basis, which means there are no fees or costs unless we win.